Jens Andrée Another fantastic kit from Tamiya - the golden standard! Mike Kryza added the Tamiya Nashorn (1:35) to his stash. Then it's time to look for a camouflage-scheme and reading a little bit in "Nuts & Bolts" and after that --- let's see. The first look promises a very easy and funny assembling. Btw the tracks are a "no go" - you need Friuls or similar ones. ...and the figures are typical Tamiya. Christian Meyerhoff I`m in Frank! 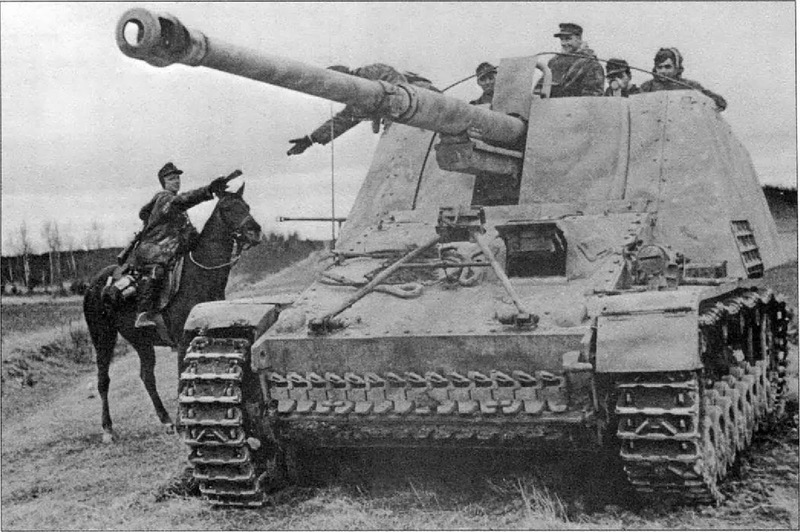 Like to see how it compares to the AFV Nashorn. Mike Kryza Hi Fabian - I think this will be a "new" generation of figures... - "thick" winter clothes... possible to paint them white or in a typical camouflage. Or you replace the figures by a summer crew. Mike Kryza Thx for the hint, Jörg. @Fabian - The pic is from Vol. 3 "Waffen-Arsenal" - but I think it's possible to find another crew. H K added the Tamiya Nashorn (1:35) to his stash. John Van Kooten Yeah, what Fabian said! Hahaha! So we can look forward to your build log in a couple of days? Yeah? Cool! Seriously though: congrats!! Looks like a really nice kit! Christian Meyerhoff Nice! A competition with Frank! H K I will go for " Pommern" from the Box Art. I have one picture showing the left side. There is a spare roadwheel on the fender like on all Nashorns from Pz.Jg.Abt. 519.